High Man General, Salatiel and SME front liner, Daphne display musical chemistry in this single titled comme ça. This single is a mid-tempo one that has full potentials to hit your heart and stay on repeat on your playlist. 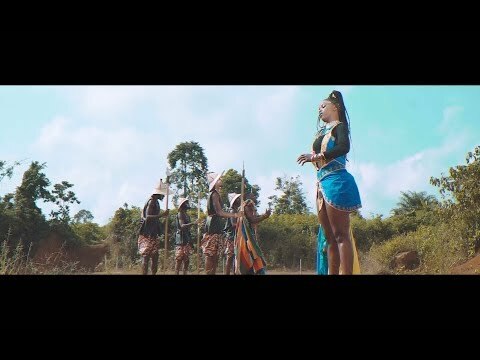 Salatiel who doubles as the producer alongside Big Joe, decides to give us and exquisite taste of Africa in the visuals. “There is nothing in life like the perfect love situation or the perfect couple, but there is love which is 2 people who can come together, accepting their differences and compromising for each other”. Alpha Better Records Put together by Nkeng Stephens, the visuals are not only eye catching but tell a beautiful story of love. They don’t only accentuate on the understanding of each other’s imperfection but also focus on the willingness to work through these short comings with each other. Other production credits go to: Guitars by Marcien Oyono and Salatiel Bass by Big Joe & Salatiel. Mixed by Salatiel @ Alpha Better Records Studios Mastered by Joern Broderson (Germany).